Can new love grow when you dig up old secrets? Harper Woods wakes up every morning on Silver Hill Farm feeling like the luckiest woman in the world. She’s recently engaged to the tall, dark and handsome Shay, out of her window lie rolling golden cornfields, and just downstairs are the gorgeous tea rooms she’s always dreamed of owning. But Harper is about to discover a secret that will change her luck forever. For better or worse? She has no idea. Distracted by her find, Harper doesn’t notice Shay getting rather close to his ex from the village. And as news of Harper’s discovery spreads through Silver Hill, there are people who are keen to stir up trouble, in particular, Will Frampton, handsome recluse and Lord of Silver Hill House, the crumbling stately home the other side of the hill. Can Harper trust any man in Silver Hill? And as relationships are tested and tea cakes begin to fly, will anyone catch the romance blossoming in the most unexpected of places? Review: I am a great fan of Tilly Tennant's books, so I sat down to start this new story full of anticipation. I'm glad to say that I was not disappointed. I found myself lost in this tale of secrets and discoveries, intrigued right from the start. The story revolves around an interesting find at Silver Hill Farm, a property owned by Harper Woods, where she has achieved her dream of running a tearoom and petting zoo with best friend Pip. Harper has recently become engaged to builder Shay, and it is while he is digging out some foundations at the farm that a box containing some potentially valuable antique jewellery is unearthed. Although bringing unwanted attention from the press, the discovery leads to Harper's meeting Lord William Frampton, owner of nearby Silver Hill House a once stately Manor House, who claims the jewellery, Cesca Logan, an expert from the local museum, and Norwegian Kristofer Bakke, a local history enthusiast. As the investigation into the possible origins of the jewellery progresses, Harper begins to examine her feelings for Shay, who has secrets of his own. I really have enjoyed reading this story. It captured the imagination from the very start. Not only is there the puzzle of the find and the people who may have been involved in its being buried alongside the farm, there is the promise of romance growing with each page. Shay was not a likeable character at all, and I was willing Harper to see that she could do so much better. 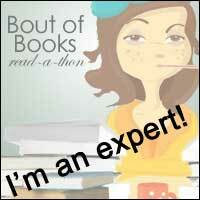 With that exception, all of the other main characters were extremely engaging. 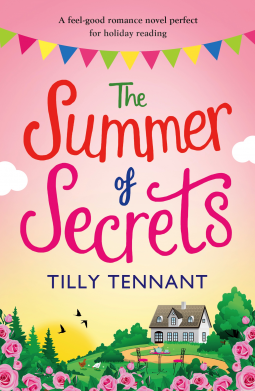 Definitely another triumph for Tilly Tennant and one that I would heartily recommend, especially if you like a bit of mystery with your romance.